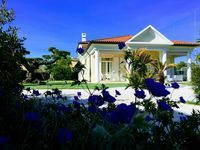 Properties in Veneto average 4.5 out of 5 stars. 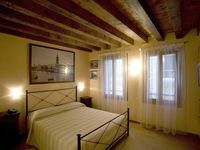 Aria e Luce, Suites in Venice - room "Scirocco"
Property 4: Aria e Luce, Suites in Venice - room "Scirocco"
Perfect experience behind wilder imagination! We were greeted by our host at the water taxi gate and it made finding the place very easy. It was a beautiful place to stay with an unexpected jacuzzi tub in the bathroom. Breakfast and coffee were provided and was delicious every morning. The location was perfectly centralized and right next to the open market. Our host gave us lots of recommendations to see and it was nice to see Venice a bit off the beaten path.